When it comes to naming the top local title company, Potomac, MD residents can agree: competitors don’t hold a candle to Eastern Title and Settlement. With more than 20 years of combined experience, unparalleled commitment to client success, and an extensive list of title and settlement services, we’re the title company of choice for buyers, sellers, agents, and lenders. Coming to us for title services means getting attention from a personal customer service representative, in-house real estate attorneys, and licensed and insured settlement agents. We provide support throughout every aspect of real estate acquisition, from property marketing to convenient at-home settlements. Get in touch with us to learn all the ways we can help you! What Does a Title Company in Potomac, MD Do? The goal of a title company is to handle all aspects regarding a property’s title. The title is the document (usually a collection of documents) that defines a person’s legal right to own and use a piece of land. When you buy a new house, the previous owner will transfer the property’s title into your name – thus giving you legal ownership and rights over the house. Unfortunately, not all titles are clean or legally transferrable. This is where a title company in Potomac, MD comes in to assist. A title company makes sure a title is real and valid. Many different problems could invalidate a property’s title, from forged documents 50 years ago to an undisclosed will or heir. A title company investigates a title’s full history, searching for potential pitfalls. A title search can come up with a range of problems with a title, including liens, encumbrances, easements, unpaid taxes or mortgages, and boundary disputes. 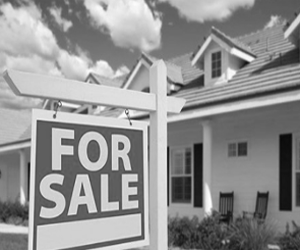 The title search is one of the first processes a prospective buyer should undertake before deciding on a property. After the title search, a title company will handle all other title-related processes if the individual still wants to continue with the real estate transaction. For example, most title companies sell insurance to protect a new owner from hidden or undiscovered title problems that may surface in the future. Title companies may also offer purchase agreements, refinancing, closing services, lot or land sales, construction agreements, and settlements. See the services we offer at Eastern Title and Settlement for an idea of what a title company can do for you. Let us save you some time: Eastern Title and Settlement checks off all of these boxes and more. We are a premier title company Potomac, MD residents trust with their most complex real estate needs and transactions. Whether you need trustworthy escrow services or assistance with real estate marketing, we can help. Our team of exceptional staff members knows just how to help each and every client. There’s no question – a title company can help facilitate your next real estate transaction. A team of proven experts can take care of the paperwork, processes, and red tape involved in buying, selling, or refinancing a piece of property while you focus on other aspects of your life. Not only can a title company remove the burden from your shoulders; it can also ensure proper and effective execution of important real estate related tasks. For personalized help from a title company, Potomac, MD residents can call Eastern Title and Settlement at (240) 403-1285.